We’re thrilled to announce the co-winners of the 2015 Rane Arroyo Chapbook Prize: “Aristotle’s Lantern” by Sierra Golden of Seattle, Washington and “A Short Tablature of Loss” by Rodney Gomez of Brownsville, Texas. Both manuscripts will be published this fall. Runners-up this year were MK Sukach, for “Hypothetically Speaking,” and Thomas Alan Holmes, for “Medievalist and I.” Our thanks to everyone who sent in manuscripts. The next reading period for the Rane Arroyo Series will be November 1 – December 16, 2016. At this time we’d also like to extend our deep gratitude to Eduardo Corral, who is concluding his term as co-editor of this series. This entry was posted in Rane Arroyo Prize, Uncategorized, winners selected and tagged Eduardo C. Corral, Rane Arroyo Prize, Rodney Gomez, Sierra Golden on June 21, 2016 by Seven Kitchens Press. Due to a significant number of queries regarding the changed deadline (changed from last year), we’re happy to extend the reading period for the annual Rane Arroyo Chapbook Prize: we will continue accepting submissions through October 31. 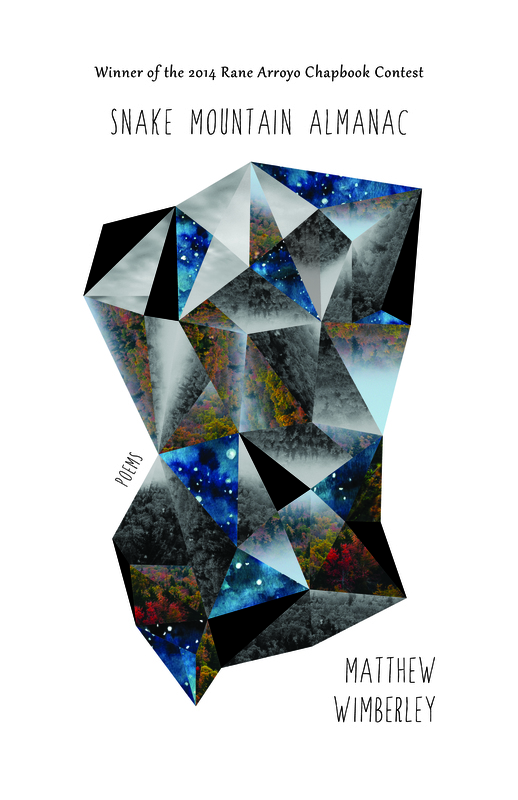 Please note that work will be considered this year only from writers without previous book or chapbook publication. We use a blind-submission process; editors Ron Mohring and Eduardo C. Corral will read every manuscript received and are looking forward to seeing your work! Full guidelines here. This entry was posted in CFS, Rane Arroyo Prize and tagged call for manuscripts, Eduardo C. Corral, Rane Arroyo Prize, Ron Mohring on September 1, 2013 by Seven Kitchens Press. 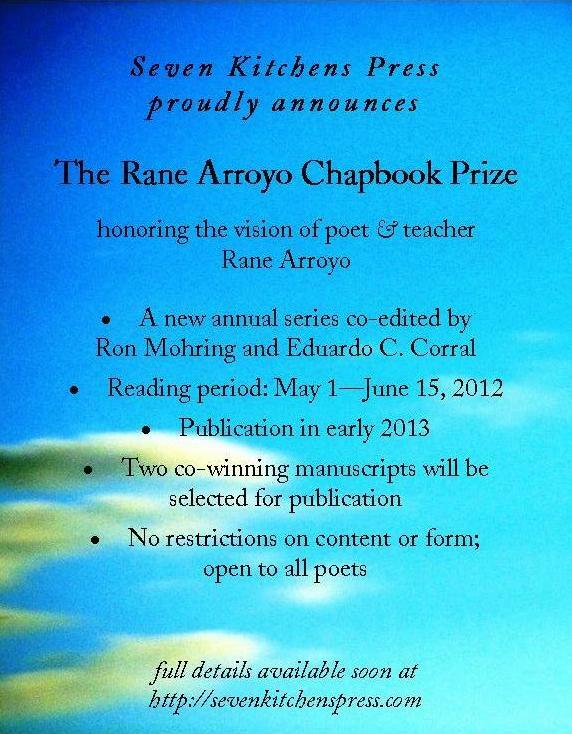 The submission window for the Rane Arroyo Chapbook Prize closes on June 15: just two more days to submit your work! We are so looking forward to reading your poems. This entry was posted in Uncategorized and tagged CFS, Rane Arroyo Prize, submission window open on June 14, 2012 by Seven Kitchens Press.